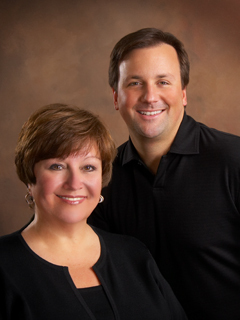 The Massey Team is a team of professional Realtors with over 45 years of combined experience. Our goal is to make the process of buying or selling your home as stress free as possible! As experienced real estate agents, we can help you find the home of your dreams, sell your property, and get you started with your mortgage. Our knowledge of the local area and market will be valuable in helping you find the right home in the perfect neighborhood! The Massey Team's primary listing area includes Edwardsville, Glen Carbon, Maryville, Troy, O'Fallon, Shiloh, Swansea, and Belleville. We also welcome listings throughout the Metro East and St. Louis. Edwardsville, Glen Carbon, Maryville, Collinsville, Bethalto, Troy, Highland, O' Fallon, Belleville, Alton, and other surrounding areas of the Greater St. Louis Metropolitan Area. The Massey Team is committed to providing the finest, friendliest, most effective real estate services. We don't just sell houses ... we help others make positive changes in their lives with real estate. Understanding your personal goals and needs is at the heart of everything that we do.